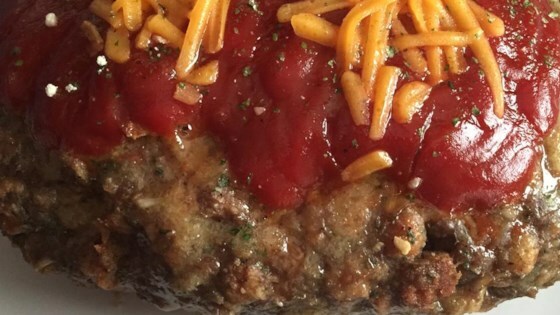 "This is a recipe I created once I discovered the versatility of meatloaf!" In a large bowl, combine meat, eggs, ketchup, stuffing mix, ranch dressing mix and fried onions. Shape into loaf and fit into 9 x 5 inch loaf pan. Bake, covered loosely with foil, at 350 degrees F (175 degrees C) for 50 to 60 minutes, or until meat is thoroughly cooked.